You asked, so we delivered. 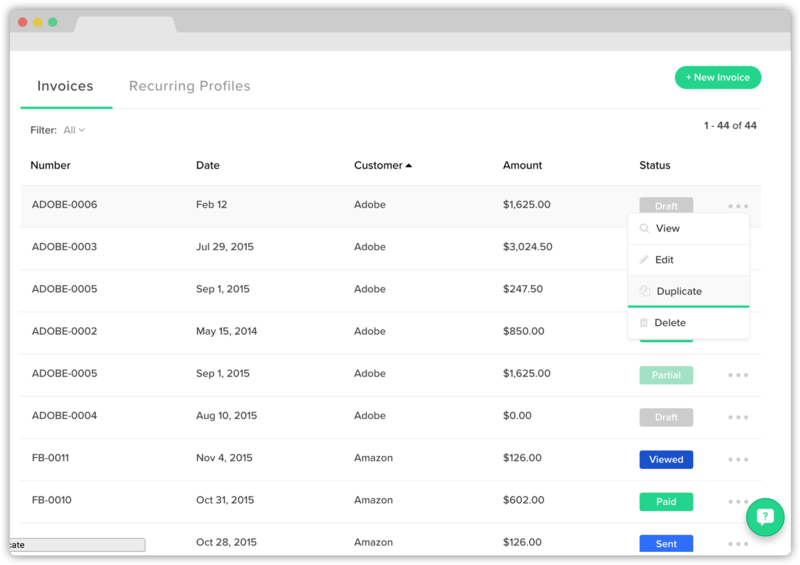 You can now duplicate your invoices and estimates in seconds. Simply go to the invoice or estimate of your choice, click on the extra option bar to the right, and click Duplicate. You will notice that the duplicated invoice or estimate will appear at the top of the list as a draft. You can edit the draft as needed and send it out. The duplicated invoice or estimate will automatically be labeled as the next highest number in sequence. For example, if an original invoice is labeled, “PHOTO-0001,” and you have two other invoices labeled “PHOTO-0002” and “PHOTO-0003,” then when making a duplicate, the new invoice will be labeled, “PHOTO-0004.” This will keep your invoices organized so they will be easier to access.